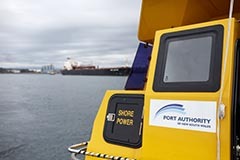 The Port Authority of New South Wales (the Port Authority) was established as a corporation by the Ports and Maritime Administration Act 1995 and is subject to the State Owned Corporations Act 1989. 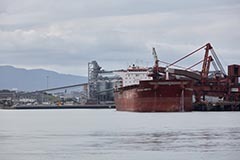 Since the amalgamation of Sydney Ports Corporation and Port Kembla Port Corporation with Newcastle Port Corporation on 1 July 2014, the Port Authority has operated under the trading name Port Authority of New South Wales (Port Authority). 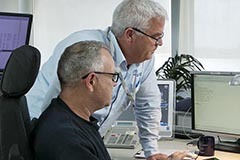 (b) To exercise the port safety functions for which it is licensed in accordance with its operating licence. If there is any inconsistency between this Charter and the applicable legislation or Memorandum and Articles of Association ("Articles"), the legislation and Articles will prevail. Review progress at regular intervals. (f) to ensure that its port safety functions are carried out properly. 2.3 The Board is also responsible for ensuring the Port Authority recognises its legal and other obligations to all legitimate stakeholders from time to time where and to the extent appropriate. 2.4 The Port Authority will adopt the NSW Treasury Guidelines for Boards of Government Businesses (Guidelines). In accordance with the State Owned Corporations Act 1989, the Board shall have not fewer than 3 and not more than 7 Directors appointed by the Governor on the recommendation of the Voting Shareholders. The Voting Shareholders must consult the Portfolio Minister regarding Director appointments. The Port Authority is to have a CEO appointed by the Governor on the recommendation of the Portfolio Minister, following a recommendation from the Board. The CEO may be appointed as a Director. The Staff Director is elected in accordance with the procedure detailed in the Ports and Maritime Administration Act 1995. Directors are appointed for a term specified in their letter of appointment (not exceeding 5 years). Remuneration of Directors is determined by the Voting Shareholders. has not had a material* contractual relationship with the business other than as a Director of the business. * Material means greater than 5% of the Port Authority’s gross revenues. To assist the Board in fulfilling its duties and responsibilities, it has established an Audit & Risk Committee, a Remuneration and Human Resources Committee and a Nominations Committee. Each Committee has a formal Charter. With the exception of certain limited delegations contained in their Charters, recommendations of the Committees are to be referred to the Board for approval. Directors are required to disclose any potential conflicts for recording in the Port authroity’s conflicts register. Directors are required to update this register on an ongoing basis as circumstances change. In relation to specific Board decisions, the Board complies with Clause 2, Schedule 10 of the State Owned Corporations Act 1989. A Director cannot take part in discussions or vote on a matter is which that Director has a material personal interest, unless the Board resolves that the interest does not disqualify the Director. The Guidelines recommend that Directors should not hold directorships of more than three Government boards. The Port Authority supports this recommendation and Directors are required to inform the Chair prior to accepting any new appointments in the NSW public sector and inform the Chair of any other appointments. Upon appointment, a new Director will be given a formal letter of appointment from the Voting Shareholders setting out the key terms and conditions of their position. Recent Board and Committee meeting minutes. 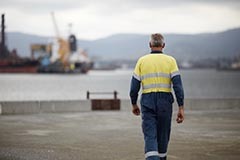 Directors are encouraged to continue their education and the Port Authority will fund any appropriate development activities, including membership of the Australia Institute of Company Directors. Directors are also provided with regular site visits and workshops to ensure they understand the nature of the business. The CEO, Company Secretary and other Executive Management must be conscious to ensure that updated information is provided to the Board in a timely fashion to enable them to effectively discharge their duties as Directors. This may be part of, or in addition to, the periodic Board reporting process. Directors are entitled to request and receive such additional information as they consider necessary to support informed decision-making. Any Director has the authority to seek any information he/she requires from any employee or contractor of the Port Authority, and all employees must comply with such requests. Unless a conflict exists or to do so would be inconsistent with the Director’s duties, the Director is to request such information via the Chair, CEO or Company Secretary. The Board and each individual Director, subject to informing the Chair, has the right to seek independent professional advice from a suitably qualified advisor, at the Port Authority’s expense, to assist them to carry out their responsibilities. Where appropriate, a copy of this advice is to be made available to all other members of the Board. 5.1. The Board generally meets on a monthly basis and it meets more frequently as circumstances require. Where the Chair considers appropriate, matters may be dealt with by the Board through special Board meetings or circular resolution. 5.2 The Company Secretary is responsible for ensuring the Board receive papers in advance of meetings and taking minutes of the meetings. 5.3 The CEO (if not an appointed Director) and other members of executive management, at the discretion of the Board, are invited to attend Board meetings and are also available to be contacted by Directors between meetings. However, the Board will meet without executive management present on a regular basis. reviewing, and approving where appropriate, reporting to Voting Shareholders, including annual financial statements. 6.2 All Directors are entitled to be heard at all Meetings and to the extent practicable, should bring an objective judgement to bear in decision-making. facilitating the effective contribution of all Directors. keeping the Board appropriately informed of the operations of the Port Authority. The Board is accountable to the Voting Shareholders. The Board must prepare and submit annually to the Voting Shareholders a Statement of Corporate Intent. the Port Authority must prepare a quarterly progress report against the Statement of Corporate Intent to submit to the Voting Shareholders. In addition the Port Authority must provide a half year and annual report. The Port Authority must supply information as requested by the Voting Shareholders. The Portfolio Minister is responsible for administering the Port Authority’s foundation charter, the Ports and Maritime Administration Act 1995. The Portfolio Minister may direct the Port Authority to perform, or cease to perform, or not perform certain activities. However if the Board considers that it is not in the commercial interest of the Port Authority to carry out the direction, the Portfolio Minister, with the approval of the Treasurer may, by written notice to the Board, direct the Port Authority to do so. If this occurs, the Port Authority is entitled to be reimbursed for any net cost of complying with the direction. The Portfolio Minister, with the approval of the Treasurer, can notify the Port Authority of any public sector policy to apply to the Port Authority and give the Board a direction that is in the public interest. Before giving such a direction, the Portfolio Minister must consult with the Board and the Board must advise whether, in its opinion, it is in the best interests of the Port Authority. If this occurs, the Port Authority is entitled to be reimbursed for any net cost or foregone revenue of complying with the direction. The Port Authority must provide the Portfolio Minister with information as requested from time to time. The Board is responsible for the adoption, oversight and administration of relevant corporate governance materials of the Port Authority. The Annual Report includes a Corporate Governance Statement which will contain the content required by the Guidelines (as well as an explanation of any departures from the Recommendations). As part of an effective communications strategy, the Port Authority will maintain and keep current its Corporate Governance website. perform an evaluation of its performance at intervals considered appropriate by the Chair.